If you are considering to buy a property in Spain this is probably one of the best times in decades to do it. Spain seems to be finally coming out of the economic recession and after some really hard years the market prices are probably at their lowest level and starting to rise, so a good number of the properties that are in the market can be bought for 2/3 of what their current owners paid for them years ago. For investors from a non EU country the purchase of a property of certain value can also allow them to apply for a “golden visa”. 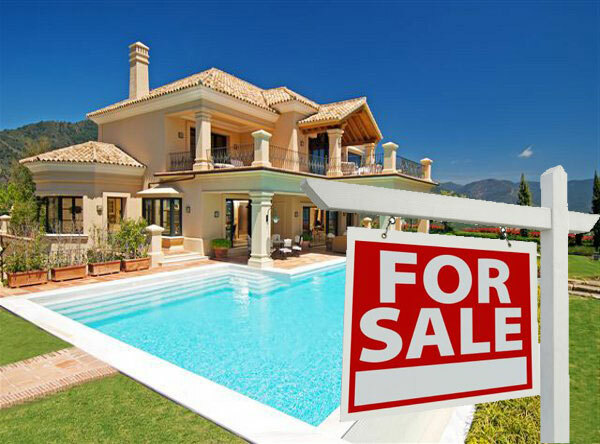 But before purchasing a property in Spain we would strongly advise you to do some research and find out how this transaction should be done, what you should look for and what you would better avoid in order to play safe and keep well away from the problems and pitfalls that others experienced in the past. We will give you here some helpful information and tips. However, as every case is different, we strongly advise you to contact a local and independent lawyer who can assist you throughout the process, and who will ensure that your money and your rights are fully protected. Our first advice is that you enlist the assistance of a reputable Real Estate agency working in the area to help you choose the perfect property to meet your requirements and expectations. The intervention of an agent will usually save you time, money and unpleasant surprises and their fees are always paid by the vendors. Good and long established agents know the best positioned properties in the developments, the different areas that might better suit your expectations, the facilities, distance to health or leisure centres, safety and security, and beside the price all those things prove to be important to bare in mind when choosing a home. If the reason to buy a property in this country is purely for investment and your idea is to buy an off plan property yet to be built to sell it in the future and make some profit, you must keep in mind that as any other investment there is a possibility that you might not get back what you expect or that it might take longer than what you considered. This that may sound obvious was quite forgotten over the last decade. Try to choose the right property. Ask yourself if you would spend your money to buy there a holiday home or your main residence. You must also be aware that when you sign a contract with a developer you are undertaking to complete and pay the whole price once the property is completed. Transferring your rights to a third party prior to completion is legal and it might be allowed by the developers but they might request that the investor and the new purchaser prove that the transfer has been legally done and the transfer tax on the value of the property paid. The new purchaser would eventually have to pay the VAT to the developer at completion which would drastically increase the expenses. For this reason it can be very difficult to sell your rights on the property before you have actually bought it, i.e. paid the whole price together with all the taxes and disbursements arising from the acquisition. Therefore even when you buy property off plan for pure investment you must count with the required economical resources to complete. If you are buying a villa or a property of a certain value it is advisable to get a technical survey done by an architect or technical surveyor to ensure that the property does not have problems or hidden defects that might affect you later. Vendors are responsible for any defects or problems that were not visible or apparent but the claim would need to be done through a court case. Therefore, a survey will save you time and money. When getting a mortgage the bank will send its own surveyor to valuate the property but generally speaking they will not be looking for technical problems. Once you have selected a property, it is advisable to pay a deposit and sign a reservation document. The deposit, or down-payment, is usually a small amount (between 3,000 and 6,000 Euros) that is held by the seller’s lawyer or estate agency and which is used to guarantee the purchase and take the property off the market, as well as freezing the price. It is important to stress that, should the purchasers decide not to proceed with the purchase, they will not get the deposit back, except where there is express written agreement otherwise, such as where the purchaser does not obtain the necessary financing or where problems arise of a legal or urban development nature that advise against the purchase. To this effect, we strongly recommend to our clients, that before signing a reservation document with an estate agent or directly with an individual seller, they always send the said document to us so that we can check it and give it our approval from a legal point of view. Although the specific conditions of the agreement will be fully defined in the private purchase-sale contract, some fundamental aspects will already be set out in the reservation document, such as deadlines, price, expenses and who is responsible for them, etc. and these must be respected thereafter. The deposit is normally paid by cash, credit card or bank transfer. It is convenient that before the exchange of contracts you decide in which names will be eventually granted the title deed and it is always advisable to discuss it with your lawyers to find out the advantages and disadvantages of the different options. The property can be in the name of a single person or a number of them, in the name of a married and / or in the name of their children, or it can be purchased in the name of a company (either Spanish or foreign). In any case, given that buyers must prove the source of the funds to be invested, there may be limitations in this regard. Each case is different and there must be a study of the personal circumstances before recommending one option over another. However, in principle, we think it is advisable to buy in the name of individuals instead of doing it in the name of a company. We come to this deduction considering the new bilateral tax agreements between Spain and other countries (such as the UK) that have put an end to certain tax advantages that existed when buying in the name of companies. Using companies to buy properties in Spain turned also to be a disadvantage after some regional rules came into force. Thus, for example, the law regulating the social function of property in Andalusia generates certain burdens on companies that have empty properties or use them from time to time. Finally, registering the property in the name of a foreign company does not prevent its beneficiaries from paying the inheritance tax in Spain. Incorporating a company and keeping the books, presenting the regular tax returns and using the services of an accountant through the years will bring costs that might not be justified for what you can get in return. You will need a bank account in Spain to pay the utilities invoices and the fees of the Community of Property Owners. In the case that you obtain finance to buy the property, you will also need a bank account for the mortgage monthly repayments. You can use any bank in Spain but it is advisable to open the account with a bank and branch close to your place. Before opening an account it is important to be informed of the service charges for depositing funds, receiving or sending transfers, clearing cheques, etc. as we know from experience that there are huge differences between banks. Your local lawyer has the tools, contacts, knowledge and experience to verify the legal capacity of the sellers, developers and other intermediaries; write or check each and every document that needs to be signed and which may commit your interests; ensure that all legal requirements are met; and make sure that the property is free of any debts, liens or encumbrances. Local lawyers not only know the applicable and updated legislation, but they also know the area and any potential problems, as well as having an insight on the advantages of one option over another, so their knowledge will prove to be very useful. There are excellent lawyers in the area that can help you to safely acquire your place in the sun, but please use your common sense and do not do things that you would not do back at home. Independence is the key here. Your lawyer should not have business connections with the developer, vendor or real estate agent as that could lead to a conflict of interest and be a source of problems. I wish to believe that the majority of real estate agents recommend a lawyer that they believe is the right one for you but unfortunately it is also common that the reasons behind the recommendations are others. When accepting a recommendation, please verify that they are truly independent and that there are not commercial or business ties between them. Do yourself a favour and make some enquiries before you jump on the plane to buy. Talk to people that have used a lawyer in Spain in the past. Search the web. Do not just get whatever it is first offered because you might be lucky or you might be not, and when spending your savings in a property abroad it is wise to use the right professionals. At Vicente & Otaolaurruchi we will be glad to help you throughout the process of purchasing your property in Spain and we like to believe that we have the best team to take care of your interests here. Our aim is to build a long standing relationship with our clients and help them through the years with their matters in Spain. Far away from the competitive work environment of the big law firms, being a boutique law firm has enabled us to have better control on our cases, to put more attention to issues and to keep a close and direct relationship with all our clients. We are proud to offer an excellent service supported by highly qualified professionals with more than 20 years of experience who take care down to the smallest detail. Once the down-payment has been made and the reservation document has been signed, the owners or their representative must provide the purchaser with the property’s documentation, so that the operation’s viability from a legal, urban development and fiscal point of view can be studied. It is difficult for individuals with limited knowledge on Spanish law to do it on their own so it is always advisable to let a professional do it for you. At Vicente & Otaolaurruchi we carry out comprehensive checks in the property registers, town halls, communities of property owners, supply companies and other bodies. That the built surface and the physical state of the property you are buying are duly recorded at the Land Registry. That the developer is the true and registral owner of the land where the property will be built (in case of off plan purchase to developer). That the vendors have proper title and that they can transfer it to yourself. That the representatives of the vendors have proper Powers of Attorney to act on their behalf. That the construction had Building Licence for what was built and that such was not revoked. That the construction had First Occupation Licence and that such has not been revoked. That the guarantees given by the developer on any amounts payable before completion are sufficient and match the legal requirements. That there is no sanction file opened at the urban development department of the Town Hall affecting the property and that the home is included and matches the provisions of the General Urban Planning of the city. That the property does not have any liens, encumbrances or limitations. That the property is up to date in the payment of taxes, maintenance or community fees and utility invoices. What the taxes and maintenance costs arising from the ownership will be. That an energy efficiency certificate has been issued before the sale. That the accounts of the Community of Owners are healthy and there are no relevant issues affecting the general interest. Another crucial point is to draw up the purchase/sale contract or the purchase option contract. This is the point at which we negotiate with the selling party to agree on the most favourable conditions for our client’s interests. It is essential to have a proper contract covering all possible scenarios. Normally a “contrato de arras” agreement would suit purchasers as it brings heavy penalties to vendors gazumping, as if they do not wish to eventually sell for the agreed price, you might force them in Court to do it or claim for the refunding of double of the amount paid as deposit. Those contracts are drawn in Spanish but a full translation is offered to our clients for their information and records. Before signing the contract you should receive from your lawyer a full report with details on the operation’s viability, the terms of the contract, the approximate costs of maintenance and the expenses derived from the purchase, along with a translation of the draft contract. The private purchase/sale contract or the purchase option contract is generally signed within two weeks or a month following the down-payment, and it usually entails a payment of 10% of the purchase price where the owner is an individual, and between 25% and 40% if the property is a new build or acquired off-plan from a property developer. The deposit that has already been paid as a down-payment is normally included in that percentage. The contract will include the details of the agreements reached between the parties and the conditions of the purchase/sale, even though some of them may be overlooked as they are merely an obligation in line with current Spanish law. At this point, it is very important that the clients notify their lawyers of any commitment or condition that they may have agreed with the seller or their representatives, or with the estate agents, so that this may be reflected in the document. Once the contract has been signed, both parties are under obligation to respect the contract in the agreed terms and conditions. Do not take anything that has been mentioned or offered for granted. The only way to be 100% sure that you would eventually get everything you expect is by reflecting it in the contract. In the case of purchasing a home that is under construction, other intermediate payments are usually made between signing the contract and signing the deed, which generally coincide with certain phases of the building work (foundations, structure, roof, tiling, etc). Make sure that there is an official architect certification stating that the works have reached that phase. It is crucial that your lawyer requests the relevant guarantees from the developer with every payment made. In Spain, property developers and builders that receive down-payments for homes under construction are obliged by law to guarantee the amounts received up until the work has been completed by means of a bank guarantee or insurance policy. This way, in the event that the building works are not completed, the purchasers will recover all the money they have invested, plus the statutory interest. Your lawyer will have to provide the Notary Public at completion with not only a bank certificate showing that all funds invested came through the bank system but also with a copy of each and every payment made (transfers, cheques, drafts, etc) as it is required by anti money laundry laws. When buying a brand new property from the developer you may be offered a standard contract. It is therefore important that a lawyer familiar with the local legislation checks that no abusive or unfair clauses or conditions are included. The Foreigners’ Identification Number (NIE) is a personal, fixed and unique number that is used to identify foreign taxable subjects who, logically, do not have the tax identification document that all Spanish people have. All foreigners with economic, professional or social interests in Spain are under obligation to apply for a NIE before the relevant body of the Spanish Ministerio del Interior (Home Office). The NIE must figure on all public documents that the interested party signs or which are issued in Spain, so the client must have this number before signing the deed of purchase. You can get that at the Spanish Consulate or Embassy in your country or at the Police Station of the Spanish town where you live, work or intend to buy. The problem when doing it yourself is normally the time that it takes, the queues you have to do, etc. We offer a fast and efficient service to obtain the NIE. The purchasing process ends when the public deed of purchase is signed by the purchaser and the vendor before the Notary Public. At the moment of signing, the vendor grants the purchaser the title deed of ownership and the purchaser hands over the rest of the agreed price. Before completion you will have to transfer either to your Spanish bank account or to the account of your lawyers in Spain the funds to cover the price and the taxes and disbursements that will arise. Due to the control policies on investment and the obligation to certify the payment methods and the source of funds, it is convenient to transfer the funds to the clients account of your lawyers. They will then prepare the cheques and drafts required for completion, will retain the amounts due to cover potential debts or outstanding on the property and will obtain from the bank the required certificates with regard to the foreign source of the invested funds and that those came to Spain through the banking system. If you need finance for the purchase of the property, it is important to present the mortgage application at the bank with enough notice. The process of examination and approval requires some time and could delay the signing. If a deadline for completion has been agreed, as it is most common, the delay in obtaining the mortgage can cause you problems. If you buy from an individual or a finished property from a developer, we suggest you to start organizing the mortgage immediately after you pay the reservation deposit. In case of properties bought under construction you should begin the process at least two months prior to the completion date. If the vendor is a non resident, the purchaser has also the obligation to withhold 3% of the agreed price and pay it directly to the Tax Office on account of the potential Capital Gain Tax of the vendor. The purchasers are responsible for depositing this figure in the given account of the Spanish Inland Revenue so it is very important to make sure that this procedure is properly done. When buying a brand new property from developer, we recommend that you never sign the title deed until the developer has obtained the First Occupation License from the Town Hall and you have accessed the property and reported the snag list. The developer should undertake in writing to make these repairs within a reasonable time frame. However, if there are signs that the developer might be in a serious financial situation, it may be advisable to sign the title deeds for the property before the FOL is issued or the snag list agreed given the risk that might exist for the investment, considering also the guarantees provided and the ability to execute them at that point. The deed of purchase is signed before a notary. Notaries in Spain are public officials and, consequently, they are independent from the parties. They publicly attest that the parties have agreed the transaction and that they have done so in keeping with the law but they will not do the checks that your lawyer must carry out and definitely they will not look to negotiate anything on your behalf. So going with the developer to the Notary without using a lawyer has proven not to be a wise move. Prior to the signing, and once the lawyers have sent the minutes for the preparation of the deeds, notaries request up-to-date registry information about the property, to verify that there are no last-minute encumbrances or foreclosure entries, and immediately after the deed is signed, they send the Property Register an electronic copy of the title deed, so that the Register has a record of the new owners straight away. It is convenient to mention that the Spanish system is different to the Anglo-Saxon as every new deal brings a brand new title deed. The old title is not physically transferred to the purchasers but kept by the previous owner, although that title will not have any validity as the new owners will be already registered at the Land Registry. Throughout the signing process at the notary’s office, our clients are always accompanied by their lawyer, who prepares the deeds, oversees the documentation, checks that everything is in order and acts as an interpreter. If there are professional or personal reasons that prevent the clients from going to the notary’s office on the indicated date, we will attend on their behalf to sign the deed. In this case, the clients would need to provide us with a power of attorney beforehand. Before a notary public in Spain, which is the simplest and most economical option as it would be in the region of 50 €. At any Spanish Embassy or Consulate abroad. In this case your lawyer might have to draft the clauses and send them together with the translation to the Consulate. Please note that an appointment is required and sometimes it might take some time to get one. Before a notary public in the client’s country of residence, in which case the document will have to be translated into Spanish by a sworn translator and legalised with the Hague Convention apostille. When clients cannot come to sign the POA in Spain we prepare the documents in bilingual form so that they only need to approach a Notary or the Spanish Consulate in their country of residence. Powers of attorney include general powers that enable us to carry out other procedures beyond the signing of the deed itself, for example, it enables us to apply for the N.I.E. numbers, contract the water and electricity supplies, act as tax representatives of the purchaser before the Inland Revenue, set up direct debits for bills, obtain licences, etc., so we always advise our clients to grant power of attorney before completion, regardless of whether they can or cannot attend the actual signing. The POA allow your lawyers to exercise those faculties in your name but does not substitute the necessary and previous specific written instruction from the client which is always required. A quite common practise in the past and thankfully starting to be odd nowadays is to under declare the price on the deeds upon request by vendor or agents. We must stress that this is not legal and should not be done. There is no benefit whatsoever for the purchaser as the saving in transfer tax is much lower than the increase in CGT for the future. Likewise, it is not recommended to try to reduce the tax bill giving a high value to the furniture. The Tax Authorities do not accept inflated valuations on second hand furniture. From the moment of signing the deed before the notary, the new title deed of ownership will appear in the Property Register as the notary will send it electronically. However, a subsequent procedure must be carried out to collect the original document from the notary’s office, to settle and pay any corresponding taxes and, lastly, to submit the deeds at the Property Register to be properly entered. If the property is not registered in your name at the Land registry you will own it privately but you will not enjoy the guarantee that the registration offers you against any third party. The registration process is usually completed in a period from one to three months. Get the locks changed, at least on the main door, once you have completed the purchase and/or furnished the property. Contract the water supply and arrange the standing order in your Spanish bank account. Contract the electricity supply and do it for your exact needs. Contracting too much power will mean paying for nothing and contracting too little might not cover your electricity needs. Note that when transferring utility contracts that have been in place for a certain period of time, the utility companies may request a technical certificate to be issued by an electrician, plumber, etc., to state that the installation complies with current regulations. Contract the telephone land line or the internet connection. Register yourself as the property owner at the cadastral office in the Town hall and arrange a direct debit for the payment of rates and refuse collection fees. Register yourself as the property owner with the Owners Association or Community of owners and arrange a direct debit for the payment of the maintenance fees. Register yourself as a tax payer with the Inland Revenue for payment of the taxes arising from the purchase and for payment of the annual tax returns. Get quotations with different insurance companies to insure your new property (both building and contents). Contract the insurance and arrange the standing order. Contract an alarm system with a private security company, in case that that service is not provided by the community of owners. The lawyers’ professional fees usually amount to 1% of the purchase price, plus the current VAT. These fees must be agreed at the start of the contractual relationship and not vary throughout that relationship (except where the initial assignment undergoes substantial changes at the client’s express request). The reason why most of the lawyers charge on a percentage basis is because if they charged for their specific hours of work, meetings, drawing up of documents, communications or visits with the rates recommended by the Bar Association, the costs for the client would rise considerably. As in any other business activity you can find lower fees but generally speaking you will get exactly what you pay for. So do not expect a great service from companies offering lower fees. All notaries in Spain must charge the same rate for the same service, although the cost of notarial documents varies, depending on several factors such as the price or value of the goods involved in the transaction, the number of intervening parties, the number of pages in the document, etc., which makes it difficult to calculate the final sum of the invoice. They usually range between 300 Euros and 1,500 Euros. As with notaries, Property Registrars must keep their fees in line with certain rules that are the same all over Spain. As a general rule, their fees are lower than notaries’ fees. This is only applied to second-hand property purchases (resale) and is paid after the public deed has been signed. In Andalusia, the tax is calculated by stages and determined by the price of the property. The levy starts at 8% for operations of up to 400,000 Euros, rises to 9% for prices between 400,001 and 700,000 Euros, and reaches 10% from 700,001 Euros and above. In Murcia and Valencia, however, the levy is set at a fixed rate of 8% and 10% of the purchase price, respectively. This tax is exclusively charged on the purchase of new housing, not second-hand (as the latter is subject to the Transfer Tax). The applicable rate in Andalusia and Valencia is 1.5% of the price, and goes up to 2% in the region of Murcia. The autonomous communities in Spain set reduced tax rates for certain cases, including the acquisition of one’s usual home at a price below 130,000 Euros by individuals under the age of 35, or up to a price of 180,000 Euros if the person acquiring the home has an officially-recognised disability, and the acquisition of social housing for one’s usual home. The purchase of new housing is subject to payment of Value Added Tax (VAT). The current rate is set at 10% of the price. Apart from the above-mentioned, purchasers will need to cover other expenses that, in theory, should not excessively increase the final cost of the purchase operation, and which include the contract and connection fees for utilities and other supplies, the obtaining of NIE, the drawing up of a power of attorney or a will in Spain, and all administrative taxes. Once you become the owner of a property in Spain you will be liable to pay certain taxes every year. The local council rates (IBI) and refuse collection fee (Basura).